Whether you’re an avid explorer about to embark on an expedition of a lifetime or an NGO volunteer moving from country to country, here at Thuraya, we’ve made it our mission to create innovative products and solutions to make your life easy and safe. Our latest launch is the Thuraya XT-PRO DUAL, which is the world’s first dual mode, dual SIM phone, keeping you safe and in touch with the most important people in your life as you continue on your journey. While you’re out there on the move, in the middle of nowhere, it would be good to know the rest of the world is just a phone call away. It bridges the gap between satellite and terrestrial communications, allowing users to move seamlessly in and out of terrestrial coverage to enjoy connectivity in any location. We pride ourselves in achieving many industry firsts including the Thuraya SatSleeve+ and SatSleeve Hotspot which let you turn your smartphone into a satellite phone, creating the perfect blend of mobility and simplicity. The flexible and rugged Thuraya XT-PRO, which was the first satellite phone to feature all 3 major navigation systems, GPS, BeiDou and Glonass. And let’s not forget the industry’s best value-for-money satellite phone – the Thuraya XT-LITE for those part-time adventure seekers. 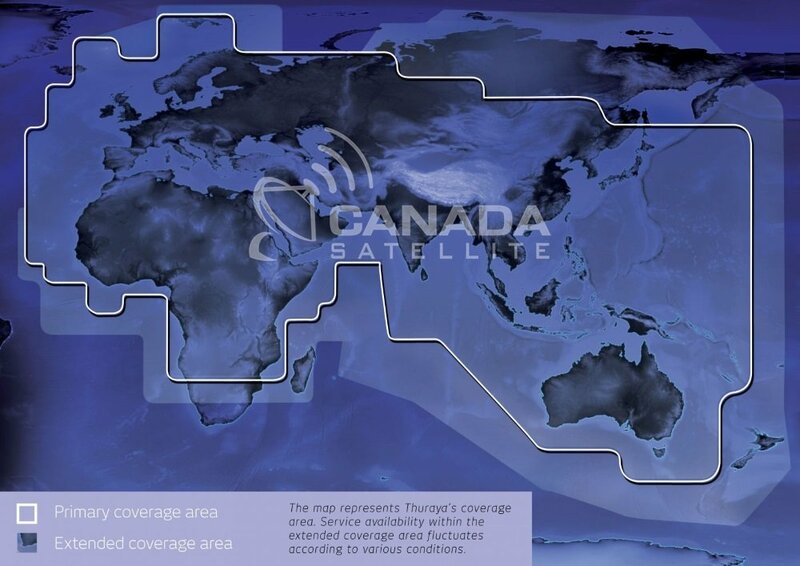 With satellite coverage across Europe, Africa, Asia and Australia, and with over 360 roaming partners in 161 countries, Thuraya’s reliable and uninterrupted network allows you to stay connected wherever you are and whenever you need it.